Rudy was taking the jigsaws from the shelves and put them on the table. All the other quickly quickly came over to play with them. We all joined in and while playing with the jigsaws we said the names of the animals on them such as ‘dog’, ‘cat’ and the noises they make. We also spotted some trains and cars and the children looked really happy. It was obvious the children enjoyed saying the animals names and the sounds they make so we will play the ‘noses game’ so we can learn more animal names. Rudy’s Dad told us she loves to play with jigsaws. The children enjoy painting and enjoy trying to make new marks and exploring different colours. We discussed the different colours and how you can mix two colours to make another colour. Some children started to mix colours on the paper while others tried mixing blue and yellow in a ziplock bag. This gives the children a good sensory experience of mixing colours. The children were very excited about this and showed great focus. We will experiment mixing other colours to see what happens. 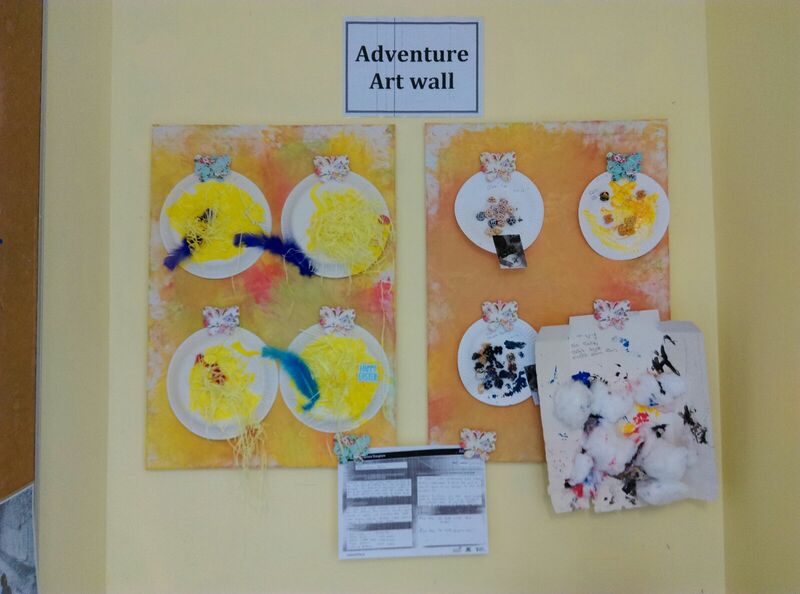 Some parents commented that their children love to paint at home and mixing colours. Michael arrived into creche and told us all about the Easter Bunny visiting him and bringing him chocolate. This led to a discussion with a few of the children who were also visited by the Easter Bunny. We then spoke about Easter chicks who make special eggs for Easter. We decided to do an art activity so we got some plates and painted them yellow. We then decorated them with feathers, confetti, and stickers to create Easter chicks. The children who participated used various painting applicators to spread the paint and used the paint as an applicator to stick the feathers. We will continue to discuss important events and celebrations that occur throughout the calendar year to aid the children’s learning of celebrations and festivals that occur.